The ‘Camp Fire’ in Paradise, California has been devastating for many in Northern California. Sadly, several members of IBEW Local 340 lost their homes and possessions during this fire and face uncertainty over the coming weeks and months. We are creating this fund so that Brothers & Sisters from across the country can have a singular place to contribute to these members and their families. ALL MONEY contributed will be equally split between those members who have lost their homes in this disastrous fire. One of the greatest things about being in an organization like this is how well we all care for and protect one another in times like this. Let’s step up and show these Brothers & Sisters the true meaning of BROTHERHOOD. If you have not yet cast your vote for the November 6th Mid-Term Congressional, State & Local Elections, it is imperative you do so. The future of Unionism is at stake now more than ever. If you have not voted and need some help in deciding some of the races or issues, I can tell you that on behalf of IBEW members, we have done our homework. 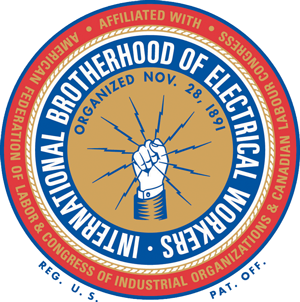 Local 340 recommended endorsements are posted on our website at www.ibewlocal340.org. Just click on Advocacy and scroll down. Thank you. Also, please be sure to have a current dues receipt on you at all times. If you are on monthly dues checkoff and have not received your dues receipt in the mail by the 10th of the month, call the Hall. As I mentioned last month, New Member Orientation classes are scheduled on a regular basis to help new members navigate thru IBEW and Union processes. I am happy to report that over 110 new members attended the recent class on October 13th. I want to thank the members and their spouses/significant others who attended. Everybody learns when a question is asked and answered and many good questions were asked and answered that day. Thank you also to the Local 340 staff members who gave up their Saturday to help the new members get “in the know” when it comes to our history and the importance of Unionism. We also discuss pension, health & welfare, dues, organizing and dispatch procedures. All of these items cannot be covered in depth when a member first makes application so we feel it is definitely worth the time and effort to offer this class to our new members. Also, when the turnout is as good as the October class was, we definitely feel validated working on a Saturday. I am happy to report we have been able to schedule Steward Training classes with IBEW Educator Sister Tracy Prezeau for February 2019. With the work we have right now and the new contracts we recently signed, there is a major need for more Local 340 trained stewards. A steward is an appointed Union Representative, who represents all IBEW Brothers and Sisters on the jobsite. They are thoroughly educated in the Rolls and Responsibility of a Union Steward and are able to work with Management on behalf of the member (or members) as issues occur on the jobsite. If interested in attending this training, call Patty Paterson (extension 1005), at the Hall. This “Get Ready to Retire Seminar” is held every other year. Experts come in from all of the Pension Plans, including Social Security, to share information and answer any and all of your questions. If you are contemplating retiring, come to this 3-4 hour Seminar to get your questions answered in order that when the time comes for you to retire, you can make the right decision for you and your family. Everyone is invited to attend and we encourage you to bring your spouses and significant others. Operation Christmas Basket Raffle 2018 – The IBEW/NECA 37th Annual Operation Christmas Basket fundraiser is now underway. Tickets are available for $1.00 each. The prizes are as follows: 1st Prize – $1,500.00 cash; 2nd Prize – Shotgun; 3rd Prize – $250.00 in Lottery Scratchers. The drawing will be held at the Sacramento Membership/Christmas Dinner/Meeting on December 5th @ 5PM. You do not need to be present to win, but since this meeting is open to all active and retired IBEW Local 340 members, we hope to see you there. It will be the perfect time to see your new Union Hall. Note: there will not be a Redding Unit meeting that night, so we hope to see our Northern Brothers & Sisters in Sacramento. For the last 10 years, in conjunction with Operation Christmas Basket (which helping Union families of ALL trades), we have held our own Christmas Food and Toy Drive specifically for Local 340 families in order to bulk up the baskets and put a personal IBEW Local 340 touch on them. We are collecting non-perishable food items and new toys at the Business Office between now and December 14th. Thank you for your continued generosity to this Toy & Food Drive. This year Veterans Day, which is an official Public Holiday, falls on Sunday November 11th. Therefore, per our Inside Wireman’s CBA, it will be observed on Monday November 12th and the Business Offices and Trust Office will be closed. As we honor all Military Personnel who have served in the U.S. Armed Forces, a special thank you goes out to all IBEW Veterans for your dedication and service. Brother Don Piroutek has suffered a stroke and at the time of this writing, is recovering in Fremont Hospital. Brother Herb Cortez Jr. has also reported a recent injury to his arm. Brother Justin Gomez is still awaiting a much needed kidney transplant. Please remember each of these members in your thoughts and prayers. NOTE: The Christmas Meeting/Raffle/Dinner in December will begin at 5:00 PM on Wednesday December 5th. Note: No December meeting in Redding for the Northern Unit. Join us in Sacramento for the Annual Christmas Meeting/Raffle/Dinner. LOCAL 340 MEMBERS TURN UP & WIN! In a major win for the Building Trades in early August, the Sacramento City Council voted 7-2 in favor of a historic citywide PLA for all public works projects over $1 million dollars. We put out a call to action and I want to thank the 30 plus members who showed up that evening to the City Council meeting to show support for this PLA. This PLA guarantees 50% of all the work on publicly funded projects in the city of Sacramento will go to local businesses and construction workers. Apprenticeship hours under this PLA will be kept local and special consideration will be given to veterans. 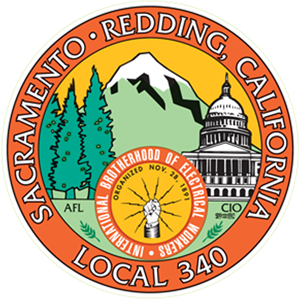 This is great news for Local 340 members as well as members of all the Trades Unions in the Sacramento area. Thank you again to our “army” of supporters. I know many of you came straight from work to help us and we are very appreciative. FIRST UNION MEETING @ OUR NEW HALL! We had a great meeting on Wednesday September 5th with close to 150 in attendance. Local 340 President Mark Steelman swore in over 70 new members that evening and along with the normal business at hand, the Sportman’s club held their annual raffle and we gave away a ton of free shirts, cups, wine glasses etc. I want to thank all of you for the positive comments about the new facility. We are very proud of it. Just to let you know, we still have some finishing touches to do, but if you haven’t had a chance to see your new Union Hall, just come to the next meeting on October 3rd, I believe you will also be impressed. Effective with January 2019 dues, all “A” membership basic dues will increase by $1.00 according to action taken at the 2016 International Convention. This increase will go towards funding the International Pension Benefit Fund. If you self-pay be sure to increase your monthly payment by this amount. Those members on automatic dues checkoff or employer checkoff will see that increase with your deductions. If you missed the picnic this year, you missed another good one. Well over 700 people attended. The picnic held on September 15th at Hagan Community Park in Rancho Cordova was a huge success. The park was packed and once again, thanks goes out to all of Local 340’s Secretaries (especially Reyna, Michelle and Justine), our Local 340 Agents and Organizers as well as this year’s picnic committee members who work behind the scenes for at least six months planning this event. Our Local 340 Softball players stepped up and we had a lot of new volunteers this year helping to ensure that the members had a great time. A special shout out goes to Brother Michael Adams Jr who was our DJ this year. A very unique thing about this years’ picnic was that former President Tommy Meredith’s family purchased a bench at this park in his honor after he passed away. Our event was held in the Pavilion where his bench sits. This was not planned, but it definitely meant a lot to those of our members who knew him, especially his sons Brothers Matthew and Erik Meredith. Mandatory New Member Orientation classes are scheduled on a regular basis to help new members navigate thru the IBEW and Union processes. We use this opportunity to answer questions regarding pension, health and welfare, dues, organizing, dispatch procedures etc. In the months of June, July and August, our organizers brought in over 130 new members and these members need this class. If you just joined Local 340 or rejoined Local 340 and received a notice to attend our next New Member Orientation Class on Saturday October 13th, call the Hall to RSVP now. Also, if you were scheduled to attend a previous class and missed it, this is your time to make it up. Call the Hall now. The following names are members who are due their 50+ years of service pins this year. At the time of this writing (9/19) we have only heard from about 15 of you on whether or not you plan to attend the Pin Presentation being held in your honor on October 27th. If you are one of the recipients and haven’t responded, please call the hall. We need to make plans on your behalf. This event will be held at our new Hall and we’ll be giving a tour of the Business Offices as well as the rest of the facility on that day. Please note: All members are invited to attend this event. We can always use some help and it is nice to show Brother/Sister support for these esteemed Retirees. 50 year members: James Broff, Douglas Brown, Randy Moul, Richard Myers, James Plummer, Douglas Porter, James Schooler, Robert Snider, Dennis Stoffel, Michael Uribe, Craig Wick. Speaking of Retiring, 30 members have signed up for this Get Ready to Retire Seminar, also to be held at our new facility. This is where you will get the information you need on how to prepare for retirement. We have invited speakers from all of our Pension Plans (and even hope to get a speaker from the Social Security office) to share important information that you will need in order to make a well informed decision as to when to retire. Whether you’re going to retire in 2 years, 10 years or 20 years from now, this event will help you to plan! We do need a count of members attending and we welcome your spouses or significant others to join you. Sign up now! Call Reyna at the Hall with your name and contact phone number and then save the date! The kickoff for this fundraiser will be held at the October 3rd Union meeting. Tickets can be purchased at the meeting, at any of our events, at the Hall or from Local Officers and Members who have signed out books of tickets to sell at the jobsites. Although this has been another great year again for our members, there are still Union families who struggle during the Holidays. Every dollar donated to Operation Christmas Basket goes into purchasing food and toys for all Union members in all the Trades in the Sacramento area. Without this raffle, there would be no Operation Christmas Basket and a lot of families would have to do without Christmas for their kids. Let’s keep this tradition going which was started 37 years ago by IBEW Brother Lud Larson and Brother Harry Bain. Get your tickets now. The drawing will be held at the Sacramento Membership/Christmas Dinner Meeting on December 5th @ 5PM. You do not need to be present to win, but this meeting is open to all IBEW Local 340 members, both active and retired, so hope to see you there. Again, it would be a good time for you to come see your new Union Hall. For the last 10 years, in conjunction with Operation Christmas Basket which helps Union families of ALL trades, we have held our own Christmas Food and Toy Drive specifically for Local 340 families in order to bulk up the baskets and put a personal IBEW Local 340 touch on them. We will be collecting non-perishable food items and new toys at the Business Office. Feel free to drop them off in our Business Office between now and December 7th. Thank you. We are happy to report that Patty Paterson Local 340 Projects Coordinator, is now off of disability and has returned to work. She is happy to be back and grateful for all of the support she received this past summer. James Graham (24 year member/69 years of age), Brother Roy Lanham (46 year member/66 years of age), Brother Euell “Ed” McKown (58 year member age/81 years of age) and Brother Dan D. Wright (47year member. 81 years of age). Rest in Peace Brothers. We have also been informed that Brother John Dyer’s wife Frances passed away. Please remember these Brothers and their families in your thoughts and prayers. SOUND & COMMUNICATIONS UNIT MEETING – Quarterly on the 4TH Tuesdays of January, April, July & October at the new Hall – NEXT QUARTERLY S&C MEETING Tuesday October 23rd @ 5:00PM – Note: 7 members needed to have a quorum. CIVIL SERVICE UNIT MEETING – Quarterly on the 3RD Thursdays of January, April, July & October at the Hall. NEXT QUARTERLY CIVIL SERVICE MEETING Thursday October 18th @ 5:00PM! – Note: 5 members needed. to have a quorum. THE BUSINESS OFFICE & TRUST OFFICE HAS MOVED! We have moved into our new building at 10240 Systems Parkway as of the week of of August 20th. There is still some remodeling to do, but the Business Office and Trust Office is fully functional and our staff (including our new receptionist/secretary Ms. Justine Villasenor) welcomes all of you to stop in and check out your new Local Union Hall! The membership meeting scheduled for Wednesday September 5th will be held at the new Hall. Did you know that Local 340 organized 14 new employers in the first 7 months of 2018? Did you know that we now have 2,081 members (1,607 active members and 474 retired members)? Did you know that the local pension is now at $6.25 per hour effective August 1st? Come to the meetings because that is where you hear first-hand what your Local is doing. Hope to see you there on September 5th. Sacramento Central Labor Council Picnic will be held on Labor Day from 5:00 PM – 8:30 PM at William Land Park – Inside Fairytale Town. The Redding Labor Day Picnic will be held at Anderson River Park starting at 11:00 AM on September 3, 2018. Both of these picnics are very Union and very family friendly. All are invited to attend. We have received the pins and certificates from the International Office for 40 members who will be presented their 50+ years of service pins at a pin presentation scheduled for Saturday October 27th at 10 AM at our new Hall. The names of these recipients will be posted in next month’s article. At 9:00 AM on the morning of Saturday November 3rd the Local and the Trust Office will be sharing a day at the new Hall in Rancho Cordova in order to offer Local 340 members information on all of our current pension plans. There will be speakers from each organization who will summarize the plans and answer all of your questions. Spouses and significant others are encouraged to attend this event with you. Whether you are retiring in the next few years, or 20 years from now, take advantage of this “Get Ready to Retire” Seminar now. More information will be forthcoming in the next few months, but if you want to sign up now, call Reyna at the Hall with your name and contact phone number and then save the date! Tickets are now available for the annual Sportsman’s Club Raffle. Prizes are a Henry Rifle, USA made Rod & Reel, a Shotgun, a specially designed IBEW knife and much, much more. Drawing will be held at the September 5th membership meeting. Tickets are $5.00 each or 5 for $20.00. Purchase them at the Union Meetings, at the Business Office (cash only) or from a member of the Sportsman’s Club. We have received the RSVP’s and we are now in high gear making arrangements for this picnic to be held at Hagan Community Park in Rancho Cordova. This park is only 3 ½ miles from our new hall and we are looking forward to seeing you there. There are plenty of shade trees and picnic benches at the Pavilion site we have rented. It is the first picnic site you will come to on the left when you enter the park. Note! We’re still looking for help for the day of the picnic, so if you feel you, or a family member, would like to volunteer for at least an hour that day, call Office Manager Reyna Kwong at 916-927-4239 to sign up. Local 340 Recording Secretary Brother Warren spent several days in the hospital in early August. I am happy to report that at the time of this writing, August 9th, he did not require surgery and is home now and responding well to the medications. Get well soon, Brother! Brother Miguel Martinez who was very seriously injured in a car accident several months ago has been moved to a care facility. Prayers are appreciated for this young man. Brother Jess Bermudez passed away in early August. He was a 53 year member and 77 years of age. I am also very sorry to report the passing of Brother Dean Reid’s parents, Jim and Lynn. They passed away within one week of each other. Please keep Brother Reid in your thoughts and prayers. We have also been notified that the owner of one of our 340 North contractors, Blaine Hudson, was killed in a recent accident. He was the owner of H3 Construction Services Inc.
SOUND & COMMUNICATIONS UNIT MEETING – Quarterly on the 4TH Tuesdays of January, April, July & October at the Hall – NEXT QUARTERLY S&C MEETING Tuesday October 23rd @ 5:00PM – Note: 7 members needed to have a quorum. At the time of this writing (7/16) we are getting real close to our move date but still not quite there yet. Believe me when I say, when we do make the move it will be definitely worth the wait. I believe Local 340 members will be proud of this new building for many, many years to come. Just keep watching your mail for the final announcement! Sacramento CLC Picnic will be held on Monday September 3, 2018 from 5:00 PM – 8:30 PM at William Land Park – Inside Fairytale Town. Redding’s Picnic will be held at Anderson River Park starting at 11:00 AM on September 3, 2018. Show your Union support and stop by if you are in the area to enjoy some family fun. On the morning of Saturday November 3rd the Local and the Trust Office will be sharing a day at the new Hall in Rancho Cordova in order to offer Local 340 members information on all of our current pension plans. There will be speakers from each organization who will summarize the plans and answer all of your questions. Spouses and significant others are encouraged to attend this event with you. Whether you are retiring in the next few years, or 20 years from now, take advantage of this “Get Ready to Retire” Seminar now. More information will be forthcoming in the next few months, but if you want to sign up now, call Reyna at the Hall with your name and contact phone number and then save the date! IBEW 340 DAY AT THE BAY – still a few tickets left! Beat the heat – This Annual Fishing Trip is currently scheduled for Saturday August 11th. Tickets are $140.00 each (which does include a T-shirt commemorating the day). If interested in receiving more information or getting a spot on the boat, contact Brother Jason Prasad @ 916-801-6221 or Brother Jason Green @ 916-716-6845. Fliers have been mailed announcing this annual event. Please be sure to return them by Friday, August 17th to be entered for the Grand Prize. You will notice the menu has changed and we are happy to announce that Brother Jim Perryman has volunteered to make his famous chili for chili dogs. If you attend any continuing ed classes out of our area, be sure to submit that information to our JATC so that your records can be updated. Brother Tim “TA” Avila was injured in a car accident and is home recuperating from a fractured neck. He appreciates the well wishes he has received from the members and hopes to be back to work soon. Get better soon TA. Brother Miguel Martinez was very seriously injured in a car accident and remains in intensive care. Prayers are appreciated for this young man. Brother Steven VanZandt wants the members to know that “Yes he was in a motorcycle accident, but he was not injured”. His bike, however, is another story. Office Manager Patty Paterson is still recuperating at home from her Memorial Day fall and is very appreciative of the support she has received from the members of Local 340. She is currently looking forward to undergoing, hopefully, the last surgery on one of her arms, in order that she can return to work. I am very sorry to report on the passing of Brother Donald D Greene – 59 year member / 80 years of age. No services planned at this time. We are getting closer to our move to Rancho Cordova and want to remind everyone that when the Business Office and the Trust and LMCC offices move, the entire membership, along with all of our affiliates will receive a postcard with the actual date of operation. In the meantime, we will be using the new location for a few committee meetings and if you are on those committees you will receive a notice. For now, it is business as usual at El Centro Road. JUST A REMINDER: The JATC is not moving with us this summer. Our training center will remain, at this time, on El Centro Road. JULY MEETING / NEW DATE! The July Membership meeting on will be held on Wednesday July 11th in lieu of the 4th (Closed in observance of Independence Day). This meeting will be held at the Hall on El Centro Road. The regularly scheduled Joint Executive Committees Meeting for those members who serve on Local 340 Committees and Trusts is scheduled for Saturday July 28th from 8-Noon. Notices will be mailed in advance to committee members with location of this meeting but please mark your calendars now to attend. There will be alot to discuss. Congratulations to this year’s apprentice graduates. It was a pleasure attending the ceremony along with 9th District International Vice President John O’Rouke and International Representative Mike Meals, who both gave inspiring speeches to the graduates. Don’t forget! Saturday July 14th is Local 340’s day to man the Union Booth at the California State Fair. Be sure to stop by for some “freebies” and introduce yourself to the Brothers and Sisters who will be volunteering their time to get out our message that IBEW 360 is about Union jobs and benefits. This years’ winners (Michelle Campbell, Jasmine Prasad, and Esperanza Damian) will be presented with their scholarships at the Membership Meeting scheduled for July 11th. Congratulations again to the scholarship winners! It is due to the dedication of their parents and grandparents living the Union way that inspired these winners to write their essays about the importance of Unions. Come to the meeting and hear them read these essays. Also, there will be cake! This annual Fishing Trip is currently scheduled for Saturday August 11th. Tickets are $140.00 each (which does include a T-shirt commemorating the day). If interested in receiving more information or getting a spot on the boat, contact Brother Jason Prasad @ 916-801-6221 or Brother Jason Green @ 916-716-6845. We will be holding our next Picnic meeting July 12th at the New Hall (Systems Parkway) at 4 PM. Remember, if you want to be part of the Picnic Volunteer Committee, call Reyna at the Hall or join us at the next meeting. Help in the planning of the picnic and help on picnic day is always needed and greatly appreciated. Please keep a look out for the RSVPs in the mail in July and be sure to return them by Friday, August 17th to be entered for the Grand Prize. Office Manager Patty Paterson suffered a fall over the Memorial Day weekend and is currently out on disability. She is out of the hospital now and at home recovering from a concussion and two shattered wrists. Patty will be undergoing several more surgeries in the near future. She wanted you all to know she appreciates all of the prayers and support she has received. We ae wishing her a full and speedy recovery! NOTE! The Business Offices and Trust Office will be closed on Independence Day, Wednesday the 4th of July. No Union meeting or Executive Board meeting that night. Both of these meetings have been rescheduled for Wednesday July 11th. SACRAMENTO MEMBERSHIP MEETINGS – 1ST Wednesdays @ 6PM – Sacramento Hall – NOTE! JULY MEETING WILL BE HELD ON WEDNESDAY JULY 11TH, the 2ND Wednesday of the month due to the 4th of July falling on a Wednesday this year. REDDING UNIT MEETING – 1st Wednesdays – 5:30 PM – Redding Hall – Note: see above regarding the July meeting. SOUND & COMMUNICATIONS UNIT MEETING – Quarterly on the 4TH Tuesdays of January, April, July & October at the Hall – NEXT QUARTERLY S&C MEETING Tuesday July 24th @ 5:00PM – Note: 7 members needed to have a quorum.